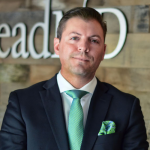 In this fresh episode of the Marketing Evangelist Network, LeadMD CEO Justin Gray sits down with fellow Phoenix-based company WebPT’s Head of Marketing, Shawn McKee, about the marketer’s perspective on building maximum value and supporting larger organizational goals. Tune in to the video to learn about the following marketing insider tips and a lot more! As a marketer, how do you evaluate where an organization is currently situated and where to begin fixing and making changes to it? Does integrating different platforms allow more visibility within Salesforce? What are some key metric indicators seen from a marketer’s perspective? Can you attribute at the branding level? ← Marketo Wait Steps: Beware of These Hidden Dangers!